Morrissey is just days away from starting his Canadian tour, but he’s now taking aim at one of the country’s best known brands, Canada Goose, and urging Canadians to join his protest against the company. The divisive Smiths singer has joined forces with PETA to call on the Canadian clothing brand to stop using fur and feathers in its products. 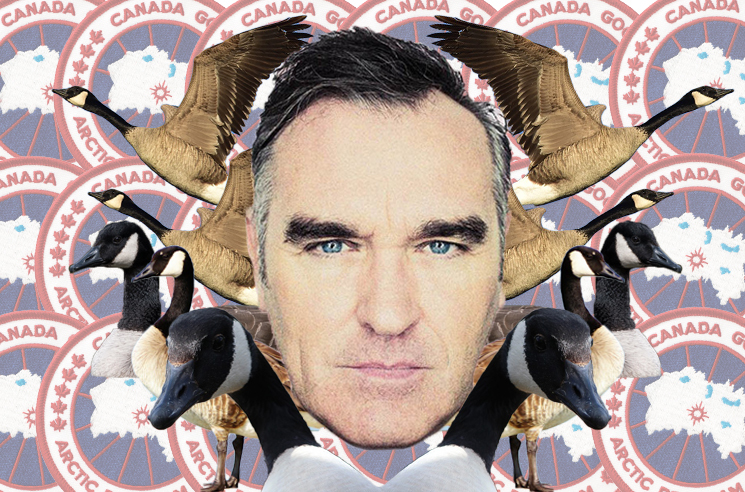 In a newly posted open letter, Morrissey states that will be gathering fans’ signatures during the tour for a petition against Canada Goose. He then aims to deliver this to CEO Dani Reiss at the end of his Canadian tour. “I’m writing to urge Canada Goose to act more like its namesake (e.g., smart, brave, and willing to fly off in a new direction) by making the bold ethical choice to remove coyote fur and down feathers from its parkas,” Morrissey begins in his letter. Of course, this isn’t the first time Moz has taken aim at Canadian business practices. In fact, he hasn’t stepped foot on Canadian soil since launching protests against the country’s seal-clubbing policies more than a decade ago. Morrissey’s new album California Son is due out on May 24 via his BMGimprint Etienne. 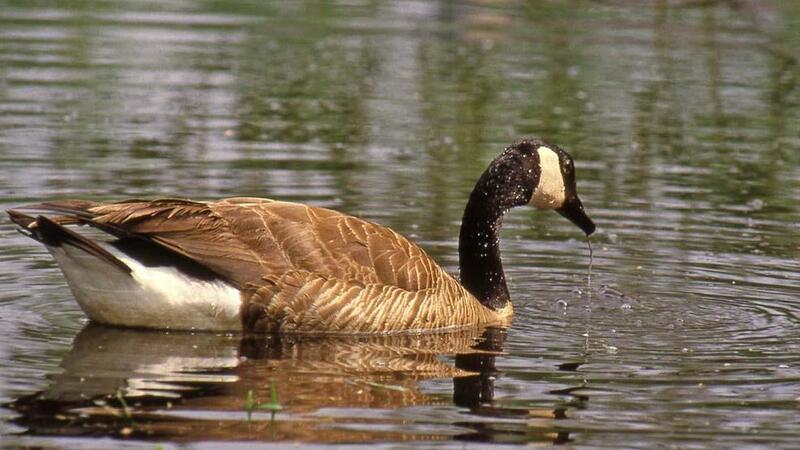 COLONIAL HEIGHTS, Va. (WSET) – An 18-year-old Jimmy John’s delivery driver has been charged after he hit a gaggle of geese in Colonial Heights, according to the Virginia Department of Game and Inland Fisheries. DGIF officials say the incident took place along Roslyn Road on October 24. They say Roberto Pietri drove through a gaggle of geese, killing two of them. VDGIF says Pietri was charged on October 25, after a concerned citizen brought the incident to the department’t attention. He’s facing three misdemeanor charges: driving with a revoked license, unlawfully hunting and killing a wild animal, and killing migratory game bird in violation of board regulations. 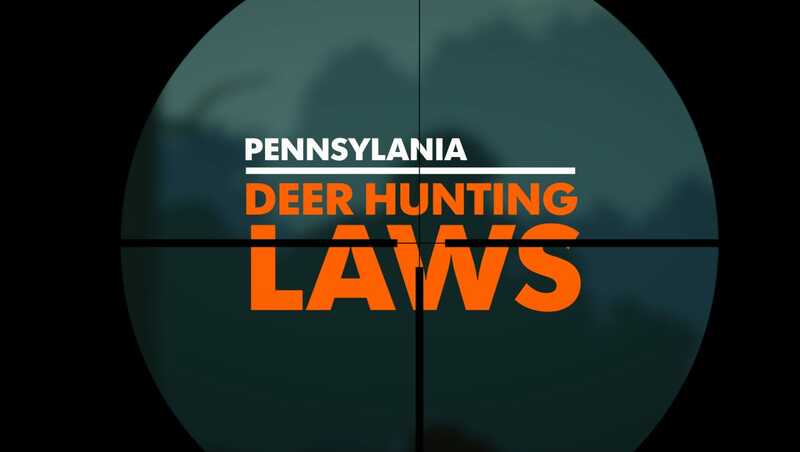 The Pennsylvania Board of Game Commissioners is making four electronic devices lawful for hunting and has given preliminary approval to make state game land access easier for individuals with mobility challenges. Electronic decoys for hunting waterfowl and doves was approved at Tuesday’s board meeting. Hunting devices for other game, including electronically heated scent or lure dispensers and those that distribute ozone gas for scent-control purposes, also were approved. The four devices will be legal in six to eight weeks. “Next year they will be written into the digest and publicized even more so than they are now,” Wildlife Conservation Officer Supervisor Bert Einodshofer said. More: Gun silencers: Safety device or marketing ploy? More: How many deer were harvested in Pa.? The Game Commission began considering the use of these devices when sportsmen’s interest grew. 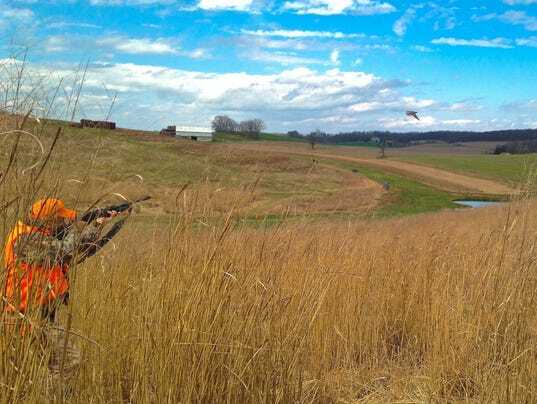 Many hunters use the them legally in other states, including Maryland. Springfield Township Farmers’ and Sportsmen’s Association board member Nate Ehrhart says he has used the electronic decoys while hunting waterfowl in Maryland. He describes the decoys as efficient and a better version of wind-driven or pull-string decoys. Einodshofer said these devices have not had a negative impact in other states. He doesn’t see any negative impact to wildlife or for “fair ethical chase” in Pennsylvania. The board also gave preliminary approval for several changes to state game land access for individuals with mobility challenges. The proposal includes a free Disabled Person Access Permit that would allow individuals to use ATVs, golf carts and other devices on certain state game land routes. If given final approval, hunters who use wheelchairs can travel anywhere on the game lands where individuals are able to travel on foot. Those hunters can also locate and flush game, and may carry loaded sporting arms, while on or in wheelchairs. The board will vote on the proposal at the Jan. 28-30 quarterly meeting. Under an interlocal agreement, the U.S. Department of Agriculture’s Wildlife Services program killed 578 geese in King County and 287 on Lake Washington in 2015. Shooting has become their preferred method of killing, but they also conducted two roundups on Lake Washington where they gassed to death geese and their goslings. The numbers for 2016 are not yet available. 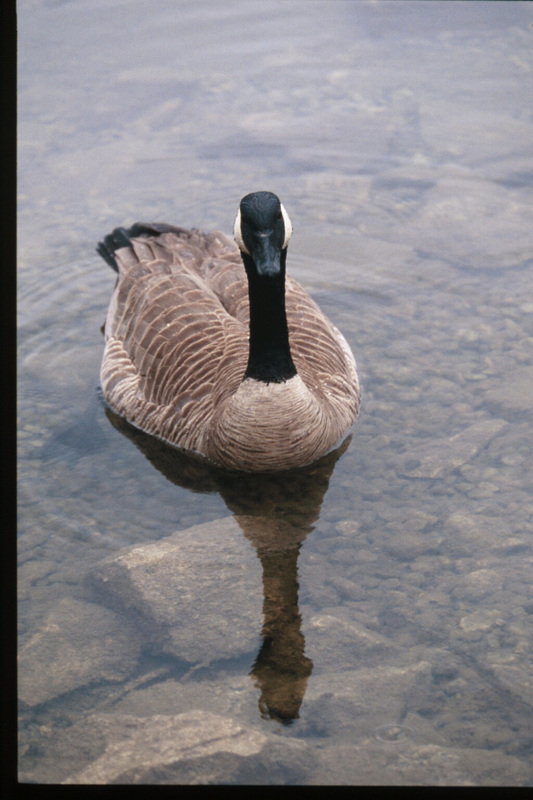 Prior to becoming a member of the interlocal agreement, Washington State Parks hired Wildlife Services to kill geese at Lake Sammamish State Park on at least two occasions. In a decreasing trend, egg addling dropped to just 292 eggs. Clearly, this is not a priority. It is apparently much easier to shoot geese or gas them instead of addling eggs to prevent their development. Humane solutions to mitigate conflicts with geese exist. In addition to addling, the following are effective: landscape modifications, goose deterrent products and control techniques, automated devices to clean up goose droppings, and education and public outreach on the need to stop feeding waterfowl. AUG 16, 2016 — Wildlife Services killed 578 geese in King County and 287 on Lake Washington in 2015. Shooting has become their preferred method of killing, but they also conducted two round-ups on Lake Washington where they gassed to death geese and their goslings. The numbers for 2016 will not be available until next year. In a decreasing trend, egg addling dropped to just 292 eggs. Clearly, egg addling is not a priority. It is obviously much easier to shoot geese or round them up and gas them instead of addling eggs to prevent their development. Exact details concerning Wildlife Services killing in the Puget Sound area and Washington State Parks continues to be either non-existent or sketchy at best. The report also stated “2015 represented the 29th year of Urban Waterfowl Management efforts in the greater Seattle area.” In a vicious cycle of killing, year after year, geese continue to be killed in our parks. And of course, few if any members of the Interlocal Agreement will take any responsibility for the killing. They seem to think that they are not responsible for the killing even though they have all collectively paid for it under the agreement. Members of the 2015 agreement included: Washington State Parks, Seattle, Bellevue, Kent, Kirkland, Mountlake Terrace, Renton, SeaTac, Woodinville, Port of Seattle – Seattle-Tacoma International Airport, Tacoma MetroParks, Tukwila, and the University of Washington. Data released by the United States Department of Agriculture shows that Wildlife Services destroyed over 2.7 million animals in 2014. It is time to stop the war on wildlife! It’s nice to see by this morning’s news that everything is back to ‘normal,’ at least in terms of humans being shot at in Paris. You wouldn’t know the ‘act of war’ was over around here. I’m hearing just as many semi-automatic shotgun blasts out there as I did yesterday. Maybe more, in fact. Being a Saturday during goose and duck hunting season, it sounds like every waterfowl hunter in the neighborhood has declared war on our aquatic avian friends. Someone must have set up a duck blind nearby. Yesterday they were out blasting at birds all day, right through the torrential rainstorm that should have been a duck’s delight. Yes, everything’s back to normal today, but If this killing of animals by the hundreds is ‘normal,’ why are we so shocked when humans go after each other? USDA Wildlife Services has continued killing geese in our local and state parks with a death toll of over 1,200 in 2014. The killing season for 2015 is now well underway. Most of this is being carried out under an interlocal agreement whose members include Seattle, Bellevue, Kirkland, Renton and others. Washington State Parks is the most recent member. After hiring Wildlife Services in 2013 to kill geese at Lake Sammamish State Park, Washington State Parks stated it had no plans to kill geese in 2014 in any of our state parks. However, in 2014, they once again paid to have geese killed at Lake Sammamish and Deception Pass state parks. In addition to inhumanely killing geese, Wildlife Services has an apparent recordkeeping problem. In a report to members of the interlocal agreement, Wildlife Services stated that it killed 1,213 geese in King County in 2014. However, it could only provide a detailed report with the date, location and method of killing for 19 geese. Where, when and how were the other 1,194 geese killed? One has to question, why is there such a discrepancy? Although Wildlife Services is required to keep detailed records, they have no idea of how many geese exist in the area and almost no records concerning the killing. Interlocal agreement members need to stop the killing and implement a management plan that includes proven humane measures. Also, they need to be held accountable for accepting obvious omissions and inaccuracies in the recordkeeping and reporting provided by Wildlife Services. The Act, first passed in 1918, has the word “treaty” in it because it is an agreement between two separate, sovereign nations—Canada and the U.S.—and there is a reason for such a mutual understanding. Look at the word “migratory.” Just four years before the law came into effect, the once most abundant bird species in North America had become extinct, and others were gone or on the verge. It was recognized even then, and all the more so now, that apart from any moral or aesthetic consideration, these birds performed valuable utilitarian services (such as the non-toxic control of insects) and that the health of the environment depended on the diversity of wildlife. Even as the great Industrial Revolution rolled out of Europe and across America, it was as true then as it is now that the very foundation of our lives, and our ability to do commerce, depends on the viability—the health—of the environment from which we have sprung, and upon which we ultimately and totally depend. 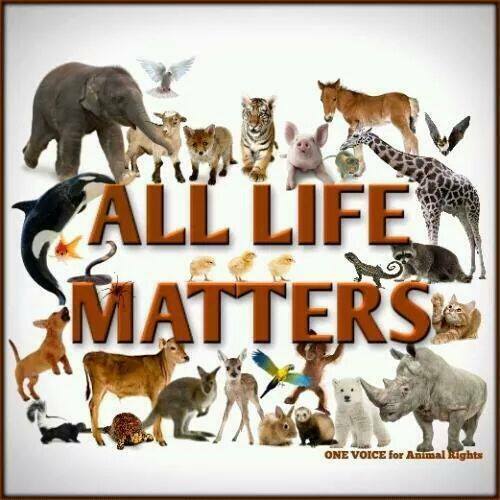 No gram of food, drop of water, or breath of air exists but for the workings of the nonhuman, “natural” world. And, we are corrupting all of that at an alarming rate. How can people who don’t realize that get elected to high office? A large percentage of protected species are essential to Canadian interests, but how can we protect them when they are migrating to, or through, the U.S.? People continue to kill even the most benign and beautiful of songbirds; or simply mow down habitat; or shoot hawks, herons, Hudsonian godwits, or hummingbirds. What is particularly incomprehensible is that this unscientific, unneighborly, unilateral decision should come at a time when we are seeing so much loss not only in birds, but in other wildlife species, in America and worldwide. Wildlife species that were abundant in my childhood are now being listed as threatened or endangered. Even still, common species are not as common. In the 1970s, a drive from my home to Lake Simcoe, about 45 miles to the north, was filled with sightings of Savannah sparrows, bobolinks, thrashers, vesper sparrows, meadowlarks, kestrels, barn swallows, and so on. Now, I can make that drive in the absence of seeing any of them; they are not necessarily endangered yet, but they are clearly in serious decline. Meanwhile, what was once Eurasia’s most abundant bird species, the yellow-breasted bunting, has seen a 90% decline in population since 1980. It is a migratory songbird, roughly the size of our native song sparrow—but it lacks protection. Robins and rails, sandpipers, and shrikes need protection wherever they occur, and they know nothing of politically chosen borders. The yellow-breasted bunting has been over-hunted in regions, especially China, where there is nothing like the Migratory Bird Treaty Act or legislation to enforce it. We can’t keep destroying what is so essential to us, even those who see no inherent value in the song of a hermit thrush, the dramatic stoop of a falcon, the cheerfully bright colors of a goldfinch or tanager, or the drama of a flock of scoters flying in a string just over the breaking waves in the low light of a coastal dawn. I understand that the president and the senate have the ability to veto the bill, but it seems a shame to promote such divisiveness in the first place. I can only hope, for the sake of all, that compassion prevails. When Greg Brown wrote his song wondering where the wild geese go when they go away, he, as we do, probably had the image in mind of a group of these beautiful birds flying high up in the sky in their characteristic v-shaped flight pattern and their familiar crackling voices that always seem to have something to say. 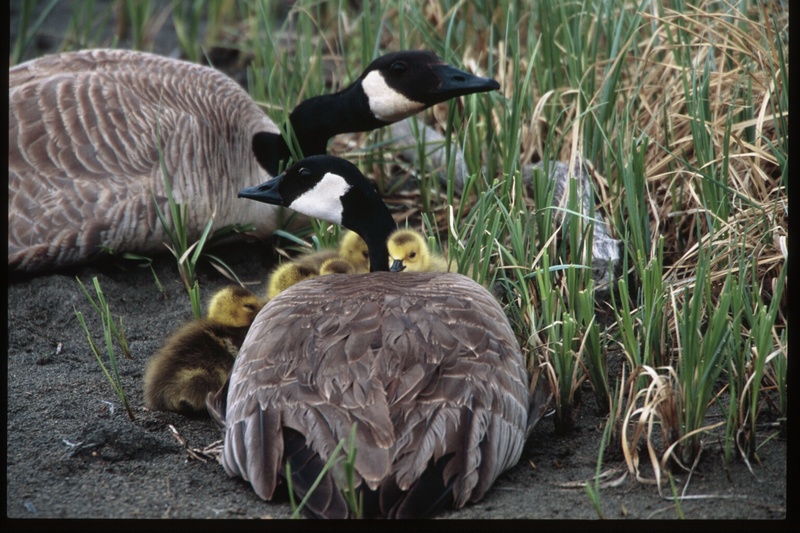 Tragically, many Canada geese families currently nesting near ponds in parks, airports and even in and near wildlife refuges, will be rounded up by USDA Wildlife Service agents (WS) during their molting period when they cannot fly. Entirely helpless, they will be separated from their goslings, causing shock and panic among the parent geese and goslings, who frantically call their loved ones in a final futile attempt to find each other. Instead, these highly intelligent birds, in a terrifying state of confusion and panic, will be either mercilessly thrown into mobile gas chambers, left struggling for their lives over a long period of time while fighting for oxygen in vain, or packed into crates and trucked to a slaughterhouse to be brutally hung upside down with their throats slashed for their flesh. Please stay tuned for our upcoming alerts to ask for your active involvement to help save Canada geese from a certain horrific death! Please make sure you have provided your state, as many of our alerts are regional in nature. On a hopeful note, wild animals can unlearn their conditioned response of fearing the worst when they see humans. The other day we surprised a familiar flock of geese, who instinctively took flight. “It’s okay; It’s just us,” we told them. As one, they must have all thought, “Oh yeah, we know them. They’re not Elmers or Elmerettes out to get us. It’s just that friendly couple that walks their dog every day. And anyway, it’s not hunting season.” They instantly hit the brakes and gently landed back down while we gave them a wide berth and continued to tell them how glad we were to see them again. That’s the way it should be, humans and non-humans getting along and sharing the planet. Although I wouldn’t dream of telling anyone what they should or shouldn’t do, perhaps if we all treat the Earth and its non-human inhabitants with a little kindness and respect—stop shooting and gassing geese, and for that matter, stop treating all other animal life like they’re expendable playthings; stop calling yourselves sportsmen when all you really want to do is kill; stop pretending that primates are supposed to be predators; stop assuming everything has been put here for your benefit; stop heating up the climate by burning fossil fuels like there’s no tomorrow; and not to shock anyone, but why not slow down to 55 or less for the sake of migratory wildlife, if not the climate; and last but definitely not least, the unmentionable, stop having babies—we may all survive for another century or two. In short, stop thinking only of your own species’ immediate gratification and treat the natural world with a little love and humility. Oh, and an apology to the Earth for past abuses might be in order, as well.